The green spirit that is. 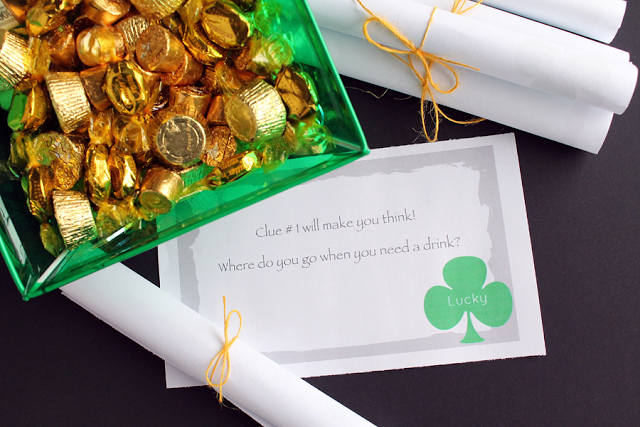 Affordable and easy to execute, the St. Patrick's Day scavenger hunt from blogger Liz of Love Grows Wild will be on the weekend agenda. It's my hope it will burn a good 15 minutes of our wild child's time and simply delight the older one. Plus, the Big has been really delving into the idea of whether or not leprechauns exist. I figure you gotta have a little bit of fun with them before they know way more than you. Hope you and yours have lots of green goodness ahead! Yum, Yum Gimme Some - Chocolate Cookies!